On Saturday March 19th from 11am to 1:30pm the Los Angeles City Human Relations Commission hosted a public hearing on Gang Injunctions and the Suspicious Activity Reporting (SAR) Program at Los Angeles Mission College in Sylmar, CA. This public hearing was the first time in Los Angeles that a government body questioned the impact of Suspicious Activity Reporting program on the community. There were four commissioners present at the meeting. The day began with a press conference hosted by the Stop LAPD Spying Coalition along with Los Angeles Community Action Network and Youth Justice Coalition. Although HRC had organized this event in Sylmar, which is 30 miles north of city with not much access by public transportation, the outreach done by the Coalition leading up to the hearing resulted in over 75 community members present. Pacifica radio KPFK 90.7 FM also broadcast the hearing live on radio. Listen here! Scroll down to March 19th “Special Programming” starting at 12 Noon and 1 PM hours. The hearing kicked off with a discussion on gang injunctions. There were short presentations from Prof. Ana Muniz author of “Police, Power, and Production of Racial Boundaries” and Alex Alonso from Cal State Long Beach. After the presentations the table was opened up to community members. Regardless of poor facilitation from HRC staff Francisco Ortega who unnecessarily questioned the validity of testimony given by a Youth Justice Coalition member, the youth stood their ground and pushed back with compelling personal stories of how gang injunctions separate families and destroy any attempts at community building. Next up was Suspicious Activity Reporting (SAR) program which started with short presentations from Hamid Khan of the Stop LAPD Spying Coalition and Colleen Flynn from the National Lawyers Guild- LA. The table opened up after the presentation and community members weighed in on the discussion. Beside a brief contentious moment with one particular participant cursing and getting loud and angry at the table, the testimonies were very substantive and deeply personal highlighting the impact of inherent racial profiling of the SAR program and the culture of suspicion and fear it promotes. A teatro piece that was weaved into one testimony demonstrated how the SAR program gives law enforcement unprecedented power to stop and question individuals for engaging in their everyday lived experiences. 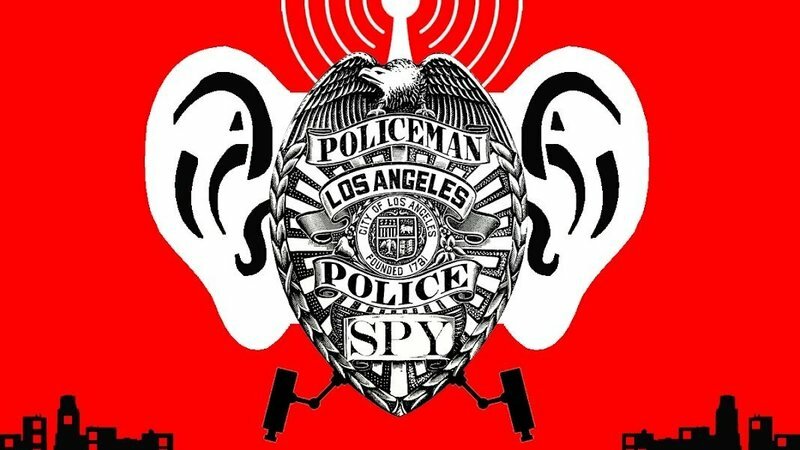 The hearing was an overall success resulting from the consistent work done by all the members and partner organizations of the Stop LAPD Spying Coalition. From the intensity of community testimony to cultural work of teatro the Human Relations Commission was able to hear and experience the community in diverse and unique manner. The Coalition thanks everyone who helped build toward this day and those who took the long trip to north San Fernando Valley. Sign this Petition and share it widely.